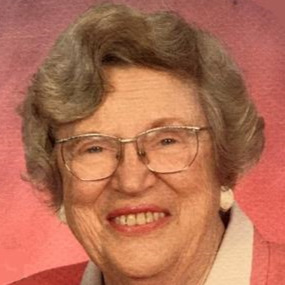 Dorothy Ellen (Smith) Hutton 92, loving wife , Mother, and Grandmother passed away Monday, February 11, 2019. Born February 24th 1927 in Winfield, Kansas to Boyd W. Smith and Nellie F. (Allen) Smith. Dorothy married the love of her life, Howard F. Hutton, in 1946 . They were married for 69 years before his death in 2015. Dorothy was preceded in death by her parents, husband, brothers, Frank E. and Boyd L. Smith, daughter Teresa K. (Hutton) Sharp and granddaughter, Christine (Kobolt) Kailer. She is survived by her children, Terrie (Hutton)(Tom) Kobolt of Climax Springs, Mo. ; Trudy (Hutton ) Lind of Shawnee, Ks. ; and Tracy (Rhonda Bray) Hutton of Overland Park, Ks. She was an amazing grandmother to her 11 grandchildren, 13 great grandchildren and 1 great grandchild. Every Christmas Dorothy baked cookies to give to her entire family. Each child receiving their own stash of cookies for an estimate of 20,000 cookies over 20 years. Dorothy had numerous friends from childhood, family, work and church with whom she loved to correspond. Dorothy volunteered as room mother, Bluebird leader, Campfire Girl leader, United Way, Sunday School teacher, VBS, youth group sponsor and prayer warrior. Burial will be at Leavenworth National Cemetery. A private Celebration of Life will be held. A remembrance in honor of Dorothy can be made to The Alzheimer’s Assoc. at Alz.org.